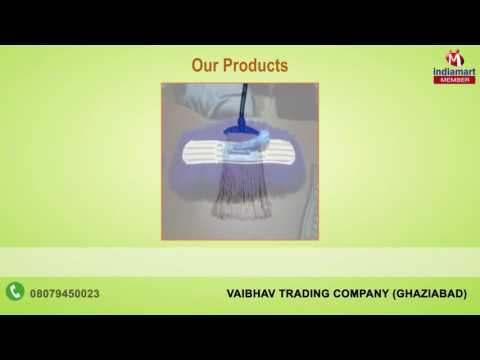 Established in the year 2007, at Ghaziabad (Uttar Pradesh, India), we, %u201CVaibhav Trading Company%u201D, are a well-known manufacturer and supplier of an exclusive range of Floor Mop Refill, Cotton Floor Duster, Dust Mop Frame, Mop Handles, Wet Mop Clips and Dust Mop. The offered products are widely used in hotel, homes and offices for cleansing purposes. Our company is recognized as a reputed name in the market making high quality range of products that are precisely manufactured using superior quality raw material and sophisticated machines under the guidance of skilled professionals.